Quality Assurance Roofing is the Arkansas and Central Texas roofer who offers an array of certified roofing options from GAF, the nation’s leading roofing manufacturer. In collaboration with GAF, Quality Assurance Roofing can help you explore ideas for your new roof online. Using the GAF Roofing Wizard, you can choose your shingle style, color and accessories and create a handy checklist that will help us provide you with a more accurate and complete roofing estimate. 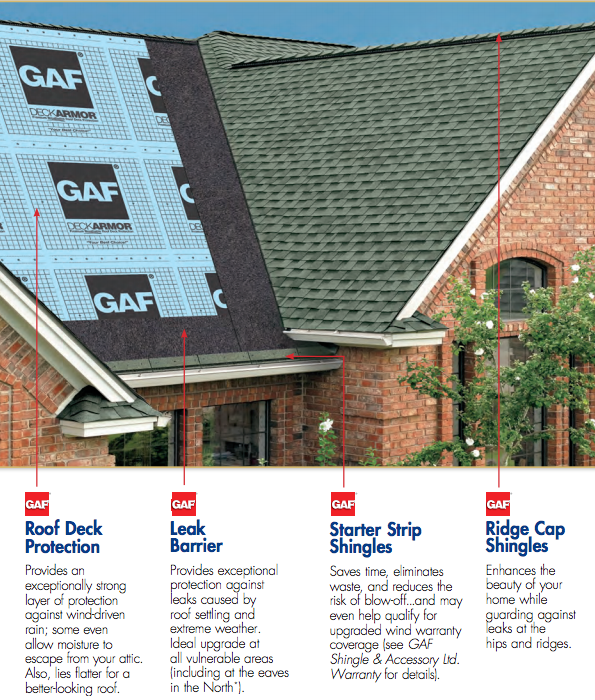 GAF offers lifetime shingle roofing systems that include a lifetime limited warranty. We’ll help you select from Timberline and Designer lifetime shingle options to find the one that is right for your home’s design and location. Get all the features you want in a roofing material at a price you can afford. Contact us today for a free estimate on a GAF roof by calling us toll-free at (800) 928-7026 or completing our online quote request form.